The Princess in the Opal Mask is an engaging fantasy, told almost like a fairy tale. Elara and Wilha tell the tale in alternating points of view. Wilha is the princess of Galandria. Every since she can remember, and before she is told, she has worn an opal mask. She doesn't know why she wears it but it creates fear and awe to all who come into contact with her. Elara, and that's not even her real name, was orphaned at a young age. Where she lives, she is treated like a slave and all she wants to do is find out her real identity. She doesn't want trouble but she does come across a little assertive and cold. I assume because she keeps people at arms length. 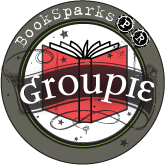 When an assassination attempt is made between the two kingdoms, the two girls finally meet. Will they take the opportunity to switch places and find out how the other lives? Wilha could finally take off the mask and Elara would be out of her village.......or will they be afraid of the unknown? A fast-paced read, The Princess in the Opal Mask reminded me of several movies and books all merged together. However, this story is unique and I really enjoyed reading the alternating points of view. The landscaping is intriguing and the secondary characters were spot on, although I wouldn't have minded learning a bit more about a few of them. 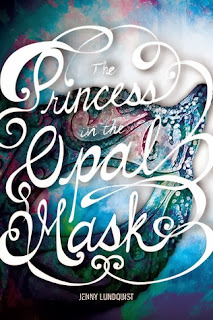 If you enjoy fantasy young adult, you'll want to pick up The Princess in the Opal Mask. It isn't heavy in romance like so many YA out there today, which I personally found to be a breath of fresh air. I'd recommend for anyone 12 and up.